This Is The Sit Up Board. 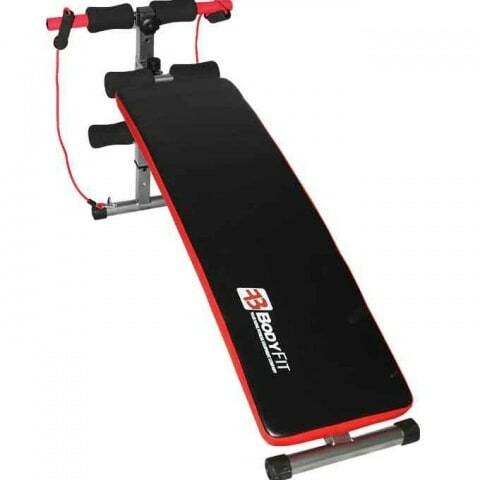 Our Sit Up Board Makes Work More Effective, As Well As Adds Strength And Tone To The Entire Abdominal Section.With Ample Padding And Heavy Duty Steel Construction, Our Sit Up Board Provides Stability For Simple Exercises And Is Ideal For You To More Easily Emphasize Lower Abdominal Muscles And Build The Abs You Want In Less Time. Giving You A Rapid Path To Good Health, Physical Fitness And The Body You Really Want. Size Of The Pad: 40" X 11"
1. Abdominal exercise: let's you make the correct sit-ups,it also works ones abdomen muscle exercises, if you have large stomach as a man or woman' 'this fitness equipment puts that in the past. 2. When you bend over and stay up back;it trains your under back muscle group (deltoid, , latissimus dorsiand and so on), strengthens your back strength, speaking of the office worker, it may reduce the waist ache on the back,and bending over humpback because the long time of standing in certain places. 3.Carrying legs makes the support by yours waist, and this can help your abdomen, thigh, arm muscle groups, and so on, frequent use in this movement, may let you have the enchanting waist curve you desire.